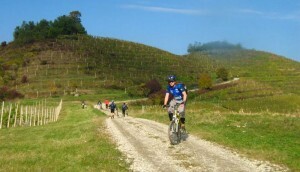 Međimurje is ideal for cycle-tourism. The region is relatively small so in one day, or, depending on the shape and affinities, in only a few hours, one can make diverse tours regarding the relief and contents. The tracks are mostly marked along the secondary asphalt roads with lesser motor vehicles frequency, or along the well maintained gravel paths. They pass through beautiful natural sites and connect various cultural and historical monuments, restaurants, wine houses, boarding houses, resting places and viewpoints. The height profiles of the tracks are mostly light and apt for all generations.